Debbie lives outside of Lowry City with her husband, Matt, of 23 years and their 3 boys. Debbie has lived in the area all of her life. Debbie started working at Bill Houk Agency, Inc in 2007 as an Office Assistant. Debbie earned her Health and Life Insurance License in 2011. In addition to serving as an Office Assistant, Debbie is also the Administrative Assistant to Ann Pugh and Charles Dundas. Prior to working at Bill Houk Agency, she was a Pharmacy Technician for about 19 years. The knowledge that she brought from that job has been an asset in helping with the Medicare, Part D, Prescription Drug plans and the various problems that may arise with them. 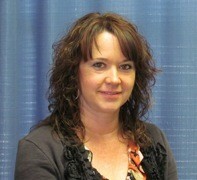 Debbie enjoys helping our clients with their health insurance needs and solving any problems that may occur.